Welcome to Part 2 of the Road to Sparta Articles. 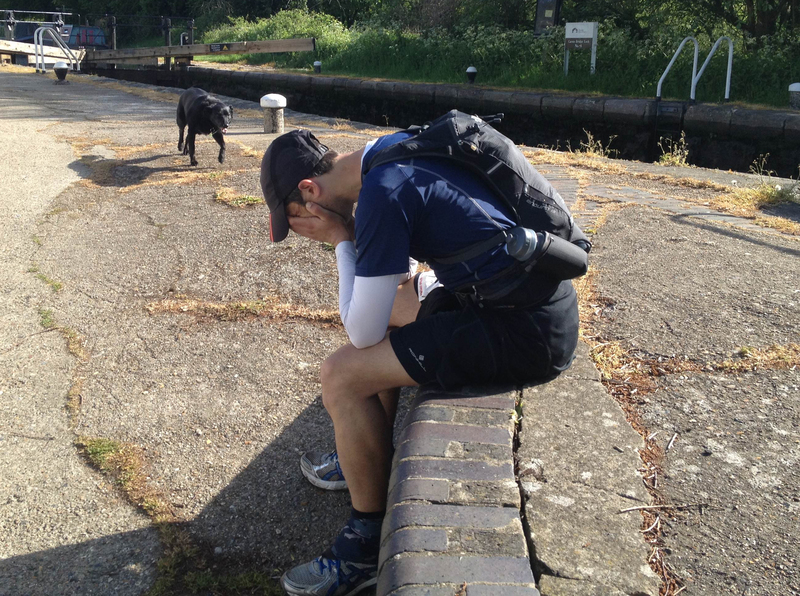 In Part 1, I introduced the Spartathlon event, my motivations for entering and my training progress from January to the end of April with my key benchmark event the Grand Union Canal Race taking place at the end of May. 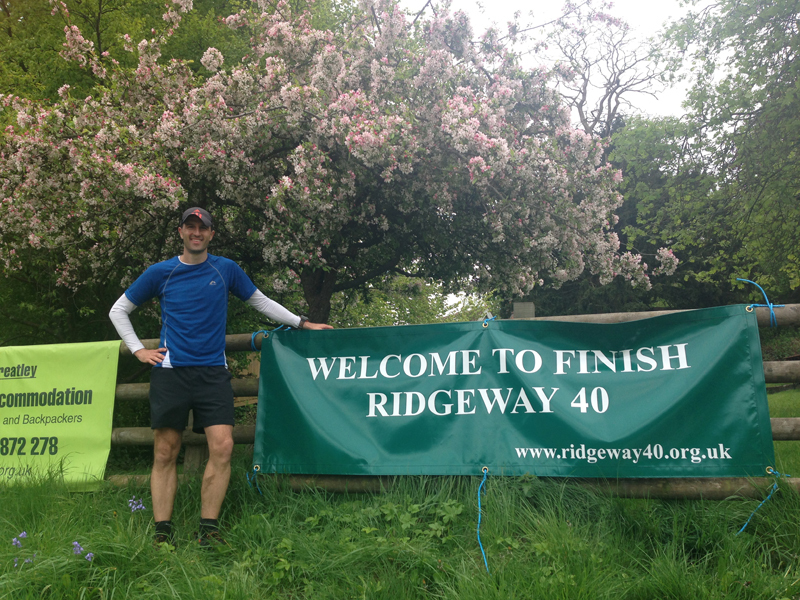 The first week in May saw me log the usual double runs most weekdays followed by long runs on the weekend and I repeated the doubles again the next week before taking part in the Ridgeway 40 event, a 40 mile walking or running event along the Ridgeway from Avebury to Streatley. The report of the event is repeated elsewhere so to save going over all the details again, I took it at a steady pace throughout the whole event up and down the undulating hills on the Ridgeway. This was a non-competitive event (i.e. no prizes for placing, the aim is just to complete) but as I started earlier than some of the other runners being on one of the first coaches then I found myself in the lead for a lot of the event and was arriving as checkpoints were being prepared for the masses. Eventually, Ian Berry blasted past me towards the last third of the race but I finished the event in 6hrs 23mins (although official results suggest longer as they started the timer as soon as you got off the coach) which was a lot quicker than the 7hrs 45mins I had completed two years ago, so pretty pleased with the effort. This saw the start of my two week taper to the GUCR and I dropped to single easy runs most days followed by my first Parkrun event in a year which saw me creep under the 20 minute mark for the first time ever and then a couple of short runs Monday, Tuesday and Wednesday before two complete days rest before the event. groin issue didn’t appear to be a muscular injury and it may be hernia related and it was suggested I might want to see the GP for a more detailed assessment. This was not the news I wanted to hear! My limited knowledge of hernia problems was that most solutions involved surgery and 5-6 weeks out of action. “If” this is a hernia issue then that could wipe out my plans for the GUCR, Thames Ring and Sparta (which I had just paid for a couple of weeks earlier). Having had a think about it, the issue hasn’t stopped me running at all at present and I made the decision to continue with my planned events. Basically, if I can get through the GUCR without issue then I’m going to just try and manage it as best I can. I was also a little concerned that I will need to get a medical consent form signed before Sparta and I don’t particularly want any recent injuries or issues reported on my patients record either so I can get a clean bill of health. The GUCR was my key benchmark race for Spartathlon purely because it was a similar (ish) distance. I was running the event unsupported (no crew) and had been open about my 32-34 hour target which would put me within overall Spartathlon cut off times and would represent a big improvement on my long walk two years ago (a disappointing 38hr 45min effort). My goal was a decent finish time and I didn’t worry about any of the Spartathlon cut-off times during the event. To briefly summarise the outcome of the race, despite a poor nights sleep I took it steady from the start (actually starting at the back) and despite a couple of blips at 40 miles and 60 miles where I slowed and hooked up with Dill Cowdry who proved valuable company I arrived at the Navigation Bridge point which marked the half-way point of the race at 70 miles in 14 hours which was right on plan. I hooked up with my pacer Matt Dunn and we made reasonable progress until nightfall and then trudged through the night. I arrived at the 100 mile point in 21.45 which was (actually a 45 minute personal best) so something target on my next 100 mile event. However, the poor nights sleep was telling as I trudged through the night and the next morning and the pace started slipping away from my target. This culminated in a brief stop the next morning at 115 miles (see picture below) where I just needed to stop and close my eyes for a few minutes. I made it to the Springwell Lock checkpoint at 120 miles with the time looking like it was going to slip over the 34 hour mark. I had agreed I would continue on alone from this point as Matt had jogged/walked 50 miles with me and he had his own Ultra event the next week so I didn’t want to jeopardise his run at all. At that point, I was content to march it home perhaps just outside of my personal target and the edges of a Spartathlon cut-off but still with a huge personal best at that distance. However I had an epiphany, when the chips are down was I going to take the “easy” option; was I satisfied with that level of effort or result; could I somehow convince those people who follow my blog that it was a partial success? The answer was a simple no and there was only one thing for it, I was going to make an effort to run the last 25 miles to the finish. It started off slowly, a bit of a stop start effort and then I jogged a bit more and a bit more. I was in 11th place at 120 miles and was told I had a chance of catching 10th. In fact, by the time I got to the last checkpoint at 133 miles I was in 8th with two people right behind me. With 12 miles to go I was nearly home and I barely stopped at the checkpoint and picked up the pace. It continued to be a bit of a stop start effort but I wanted to finish the event on a high and finish strongly. Amazingly, I ran the last 12 miles in the same time I ran the first 12 miles of the event (about 2hrs 10mins) and had overtaken another 4 runners to finish in 4th place overall in 32hrs 47mins on a massive high. The time and manner of the finish has given me a bit of confidence that I can do this and when the chips are down, I can dig deep and deliver some level of effort. The other bonus was that the groin issue whilst still ”there” did not cause me any issues on the run so a bit of peace of mind. Therefore the GUCR has delivered a positive result and nudged the confidence levels in the right direction but I cannot afford to be complacent as there’s still a lot of hard work and training to complete before September. After a complete weeks rest (well ok 4 days) I started some light running. I have one more big event lined up before Spartathlon which is the Thames Ring a 250 mile non-stop event around the Thames River, Grand Union Canal and Oxford Canal. I’m still not sure why I’ve chosen to take part in an event which boasts 4 night legs in a row considering my less than spectacular running (walking) efforts at night. I guess it was the challenge of overcoming this area or perhaps just because it was there. 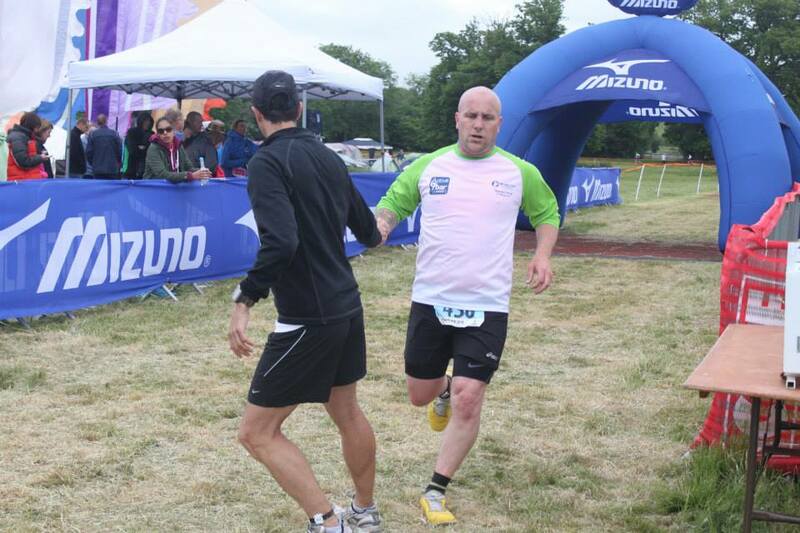 I had a light week running the first week in June and then took part on the Endure 24 event as part of an 8 man team with fellow Ultra Runners Paul Stout and Pat Robbins. I ran 5 x 5 legs at various points of the day, evening, night and next morning over an undulating trail route and averaged about 37.5 minutes for each leg overall so not too bad. The next two weeks I continued with the double runs during the weekdays (lunch and home) but have eased off with the weekend runs and only completed two half marathon distance type training runs on a Saturday and a Sunday. This leaves me with 10 days to gradually reduce the mileage to the Thames Ring event which starts on the 3rd July. To be honest, I don’t think the Thames Ring is going to contribute much towards the Spartathlon goal. 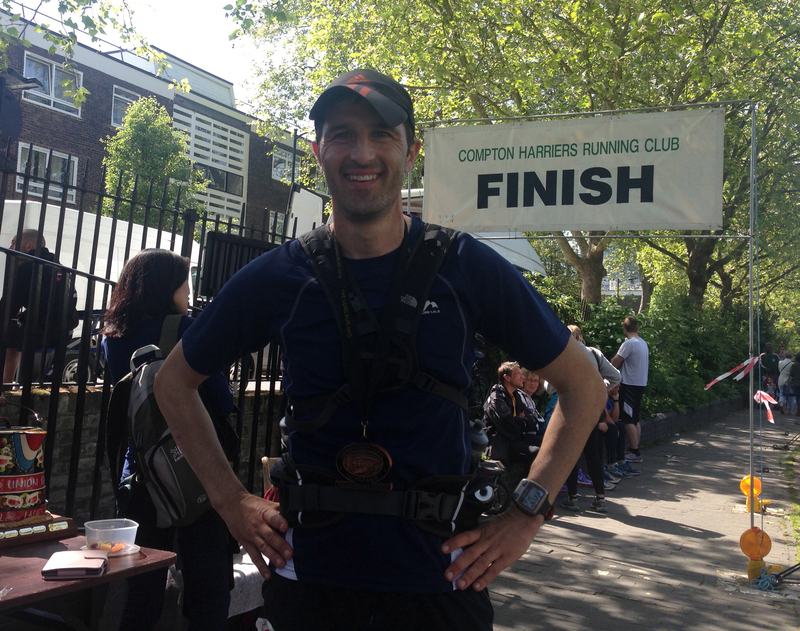 The event was fairly close to the GUCR, so I’ve not banked the usual mileage in between these events. After the first 100 miles of the Thames Ring, I suspect it will turn into a glorified long distance walk. The Thames Ring for me is all about finishing the event, I would like to finish Saturday afternoon or evening as opposed to the Sunday but the time doesn’t concern me. 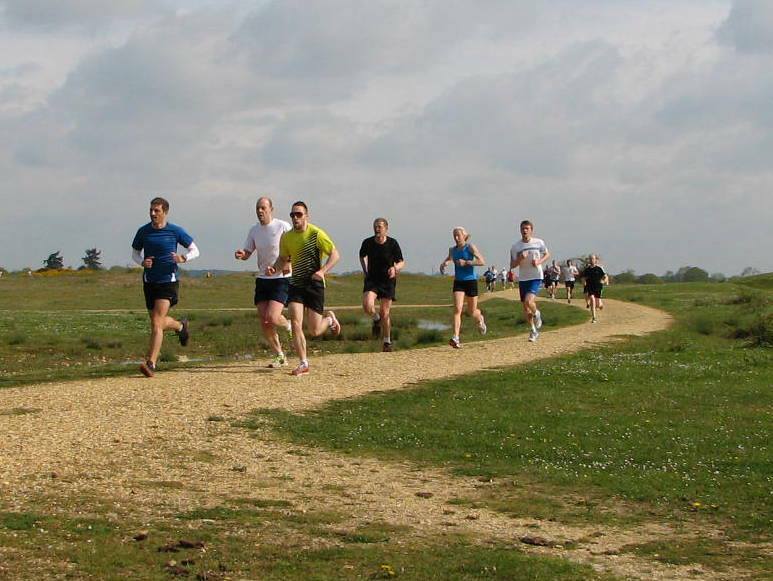 After the Thames Ring, it will be a week of complete rest followed by a week of light running. This then gives me a solid 8 week period of training and then 2 weeks taper before Sparta. The focus of these events will be on solid mileage, regular long runs each weekend (around 20 miles) and I’m hoping the British Summer will eventually show itself as I have an awful looking Sauna Suit I would like to try out as part of my heat acclimatisation efforts which is the big unknown factor. I gave this a go one of the few hot days we have had in June and I was absolutely roasting in a combination outfit of a baselayer, sauna suit top and midlayer (to disguise it). After my 6.5 mile run I was absolutely dripping in sweat so plan to continue to use this on a more regular basis over the next couple of months. In timely fashion, James Adams has also written an article (which you can read elsewhere) about Spartathlon preparation (where he boasts 3 starts and 3 finishes so despite his slightly self deprecating approach he does have some very good experience of the race) which was a useful comparison to my own efforts and training and it seems to suggest I’m on track in terms of race results. With about 3 months to go, training is going in the right direction and I have banked my benchmark result. The groin “injury” is a slight concern and I hope this doesn’t get any worse and perhaps responds to a bit of planned rest after Thames Ring. It’s something that I can now feel a slight bit of discomfort on a regular basis (but not whilst running) and I will need to investigate how best to manage this perhaps through strength exercises (lunges, squats or stretching perhaps). If anyone has experience a similar issue and has any tips then please let me know! Training wise, I cannot afford to get complacent and have actually planned to up the effort in July and August which are the critical fine-tuning months after some reasonable base mileage preparation months. As mentioned above, I will be doing what little I can to acclimatise to the heat. I will get some pictures of the sauna suit combination for the next update for you to have a laught at. So that completes Part 2. In Part 3, I will cover off my training through July and August and to the taper in September and will then talk about my race plan and strategy prior to the event.